For decades, Saudi Arabia was the voice of moderation within OPEC, pushing back against the urging of members like Venezuela and Iran for higher oil prices. That role seems to be shifting. Thanks to OPEC-led production cuts, crude prices are double their level two years ago and bloated oil stockpiles are almost back to normal. Yet Saudi Energy Minister Khalid Al-Falih wants to go further. Producers should keep cutting for the whole year, even if it causes a small supply shortage, Al-Falih said. “If we have to overbalance the market a little bit, then so be it,” he told reporters in Riyadh last week. The changing stance reflects the unprecedented pressures Saudi Arabia faces as Crown Prince Mohammed Bin Salman embarks on a program of sweeping economic reforms, including the potentially record-breaking initial public offering of its state oil company. 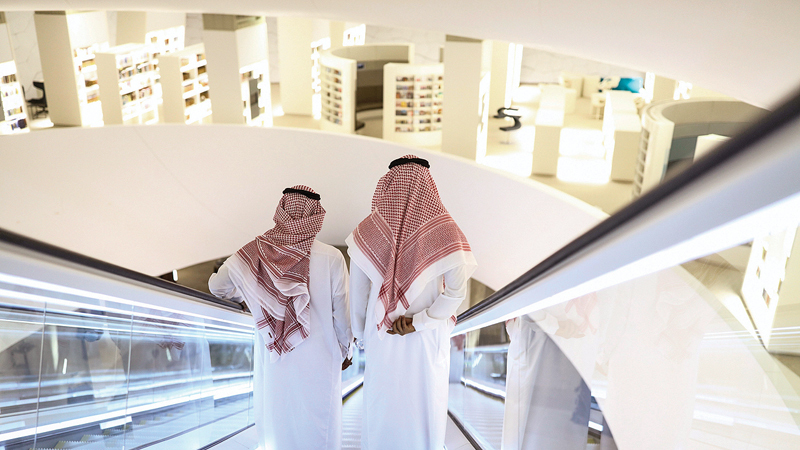 “If you’re Mohammed Bin Salman, and trying to radically reinvent your country” then “you need a certain price to make it work,” said Helima Croft, head of commodity strategy at RBC Capital Markets LLC. Previously content with oil at $60 a barrel, Al-Falih is now seeing $70 as the level where crude prices should trade, according to a person familiar with the matter, who asked not to be identified because the information was private. For the past year, the Organization of Petroleum Exporting Countries and Russia -- once fierce oil-market rivals -- have led a coalition of 24 producers in output cuts aimed at clearing the supply glut unleashed by U.S. shale-oil drilling. Their objective of reducing oil inventories to their five-year average is finally in reach, but the two energy giants now suggest modifying that goal as they encourage fellow producers to keep supply constrained. The motivation could simply be that the Saudis “recognize the limitations of the inventory target” which has been skewed by years of oversupply, said Harry Tchilinguirian, head of commodity markets strategy at BNP Paribas SA. To “err on the side of rebalancing” will ensure that the process is complete. Yet going beyond the initial targets, and keeping prices supported, also serves a number of internal purposes for the kingdom. Higher crude prices could help secure a valuation for Saudi Aramco closer to the $2 trillion envisaged by Prince Mohammed, a figure some analysts consider unrealistic. The extra revenues may also allow more gradual reductions in the generous subsidies and public-sector jobs that underpin the Saudi economy. As prices rebounded, Prince Mohammed already retreated on some attempts at austerity in the face of discontent last month, renewing state handouts as he tries to win popular support for longer-term transformation plans. A more hawkish Saudi stance on prices is a sharp contrast with their attitude in previous years. In the 1970s, then-minister Sheikh Ahmad Zaki Yamani warned fellow OPEC members that their wave of oil-price hikes would backfire. He was proved right as consuming nations developed energy reserves in places like Alaska and the North Sea and the group’s market share stagnated for years. When oil surged to almost $150 in 2008, attempts by Saudi Oil Minister Ali al-Naimi to cool the rally also faced opposition from other OPEC nations eager to enjoy soaring revenues. Prices slumped the following year during the Great Recession. The dynamic is showing some signs of reversing. After Brent crude shot above $70 in late January, Oil Minister Bijan Namdar Zanganeh of Iran -- an OPEC producer that often used to agitate for higher prices -- said that $60 was sufficient. Emboldened by the success of their strategy so far, the Saudis are now pursuing price levels that will ultimately lead to failure, said Eugen Weinberg, head of commodity market research at Commerzbank AG in Frankfurt. Crude’s recovery is stimulating record shale-oil output from the U.S., which is on track to surpass both Saudi Arabia and Russia as the world’s biggest crude producer this year, according to forecasts from the Department of Energy. A new flood of supply could easily send prices lower again, according to Weinberg.